Let’s get this out of the way first: Postmodernism is a daunting subject for a video game review, despite having a great deal to do with the medium. The most appealing aspect of video games, at least, in my opinion, is the idea that each individual playthrough leaves a different impression upon the player, whether they have already experienced a similar title, or if they are picking up a controller for the first time. There is no objective way to label player experience, although we can usually agree on the vocabulary we use to describe games and their mechanics. However, a game like YIIK doesn’t really deserve these empirical labels and categorizations, if only because what the game strives to embrace – the Postmodern philosophy. Stick with me, here, because this is going to be a crazy ride. For those who would like a very, very, very, very, very condensed definition, Postmodernism was a counter-movement and response to the Age of Enlightenment. Those who embraced Postmodernism rejected the idea of objective truth and logic, seeing the vocabulary of logic and reason as a man-made and inherently flawed way of perceiving the universe. For example, when I say that the sky is blue, does that mean that you see the same hue as me? When we discuss the sky, we use common phrases and terms in order to do so, but perception is subjective, not concrete. Postmodernists found that subverting the conventions and traditions of Western thought and striving for personal, spiritual introspection yielded a clearer understanding of the world around us. More often than not, this resulted in discussions and media with a great deal of irreverence and surrealism. 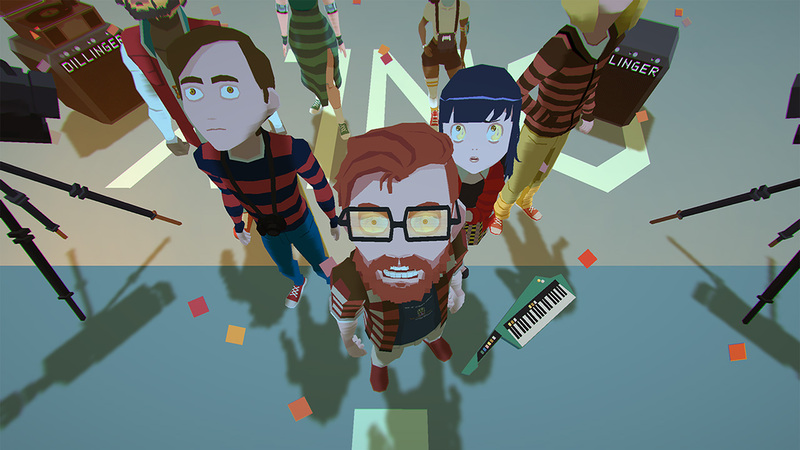 While some might appreciate the history lesson, I am certain that a large number of readers are much more curious about a review of YIIK, and whether or not it answers the question: “do we need a postmodern RPG?” Although on the surface, YIIK appears to be a Motherlike game made by Western developers, this comparison is disingenuous and woefully misinterprets what has been accomplished with this title. YIIK is very much a postmodern RPG, from the way it reinterprets RPG conventions to the discussions of reality and subjectivity it presents. Now is probably the time where I would finish my introduction and start talking about gameplay mechanics. 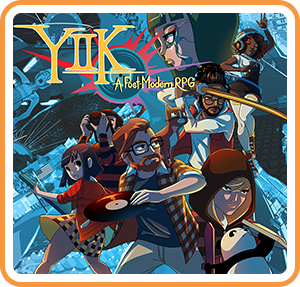 YIIK is an action command, turn-based, low-polyognal role-playing game where the player takes direct control over the actions and life of recent graduate Alex. 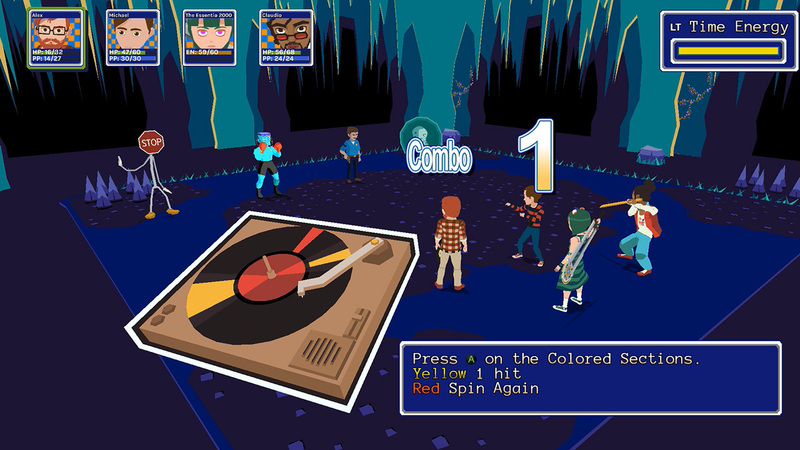 Combat utilizes a variety of action commands, from timed hits to mini-game sequences, in order to input basic and advanced attacks. Some of these are straightforward, such as musician Vella’s hold and release input, while others require fast reflexes and adaptation in order to complete. A particularly novel aspect of the combat is that as players acquire more advanced equipment, their action commands will gain an additional level of interaction or complexity. Likewise, although not every attack can be dodged, players can defend from incoming damage by completing a variety of action commands. An excellent and innovative feature is the Time Gauge, a bar that fills based on how much damage the party receives. This energy can be used to slow either player or enemy action commands so that players can be more accurate with their inputs. Excellent dodging and defense can stop players from completing more intense action commands, so balancing item usage and saving energy wisely can yield varying degrees of success. Characters level up every one-hundred experience points gained, but the player only has direct control over Alex’s stat distribution. By entering the Dungeon of the Mind, players can “encourage” their friends to level up and put specific points into certain areas. The only issue with this neat, story-centered mechanic is that it is rather tedious- players can only boost Alex and the party up one level at a time, the former needing all of his dungeon doors opened before progressing to the next level and the latter needing another encouragement after each level, requiring the player talk to the same NPC over and over. This becomes a bother only when the player saves up a great deal of experience, and though Marlene the Crow can quickly distribute the stats for Alex every floor, leveling the rest of the party can be a slog. When not in combat, players spend time progressing the narrative via overworld, town, and dungeon exploration. The overworld is unique in that it is riddled with roads and railroad tracks, which prevent the party from crossing over into certain regions unless bypassed via crosswalks. Towns possess a variety of shops and houses, as well as hidden corners with treasure chests. YIIK mixes dynamic and static camera angles depending on the area, with some transitions feeling more comfortable than others. Wind Town in particular has a very lengthy design, but its camera angles are used to frame some specific moments during the narrative, so the discomfort is somewhat warranted. Dungeons are truly YIIK’s greatest strength, with a number featuring some particularly clever environmental puzzles and mechanics. For the most part, there are none so complex that they will stop a player from completion entirely, yet many are devious enough to be distinct and memorable. Players will have to use a number of assist tools, such as a Panda, a skateboard, and their own hair in order to bypass certain obstacles. While a few of these feel as though they could be combined, most are unique enough that their inclusion is welcome. These abilities and areas are also used to complete various side quests, which can be accessed brilliantly through an internet message board that tracks their progress and completion. There is only one in particular that is timing-oriented and can be locked out of completion, but for the most part, these side quests are worthwhile ventures that deliver on more humorous dialogue and substantial rewards. YIIK is a bit more stylized than the majority of the low-polygonal RPGs of the 90’s, but its vibrant colors and simple geometry give the entire experience a cozy, familiar feel. Despite the cartoonish nature of the visuals, a great deal of the narrative is spent depicting unsettling scenarios and tackling mature themes. Character models are cute and endearing, but the frozen expressions of some enemies and warped environmental design can cause the game to fluctuate between a poppy, slice of life feel and a deeply disturbing experience. 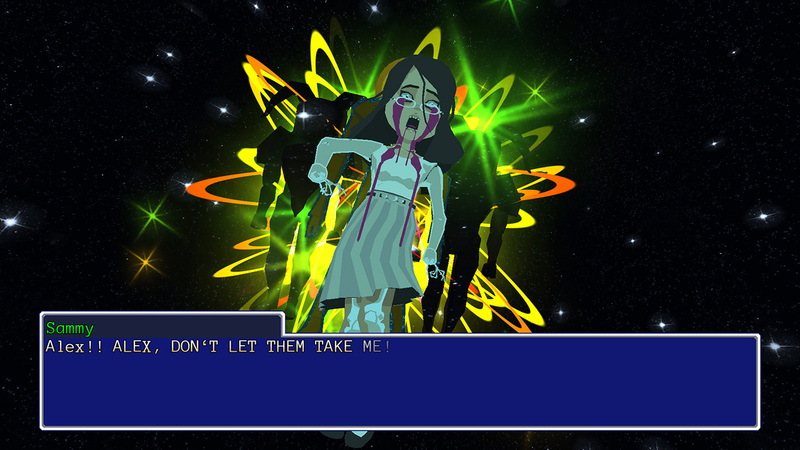 Likewise, the majority of the game’s animations are only a few frames, which allows for sprite-like movements in a 3D space. What the game’s limited visuals and animations cannot achieve are counterbalanced by an incredible soundtrack and extensive voice acting. I cannot stress the importance of YIIK’s music enough- although there are a number of songs that would fit into garage band metal, ska, punk, and indie scenes from the 90’s, a great deal of the OST is also a blend of chirpy chiptunes and minimalistic, haunting mood pieces. There are small flashes of EarthBound’s signature synthesizers present in some of the soundtrack, but additional brass and guitar lines are layered over top in order to give the game its own unique feel. Some of the game’s music is backed by vocals that give off an unearthly, distant vibe that are worth listening to outside of the game, a sign of an extremely strong OST. The voice work is more impressive than many larger-budget titles, with a strong cast that give great performances with a substantial amount of material. Part of what makes YIIK so endearing are its nuanced and well-realized characters, a party of varying beliefs and voices that are logically intertwined despite their diversity. Even so, it’s important to understand that the game is just as much a story as it is an interactive experience, so you’ll need to be prepared for the copious amounts of exposition and dialogue. Those who have a background in liberal arts may still find Alex’s poetic introspection a bit superfluous at times. However, the character uses a colorful vocabulary in order to describe his emotions and impressions of the scenario unfolding around him, which does detract from his pretentiousness a bit. This is the opportune moment to segue into the narrative, so let’s do that. YIIK begins with recent college graduate Alex returning home to Frankton and becoming entangled in a psychedelic experience with a mysterious girl in an abandoned factory. While the unraveling narrative is filled with twists and turns, it gradually develops from a young adult paranormal investigation to a philosophical and spiritual journey regarding the nature of reality without skipping a beat, which is in itself no small feat. It wouldn’t be possible without the intensely real and emotional scenarios the game presents- over the course of its narrative, YIIK tackles conflicts relating to depression, creative fatigue, loss, identity, and race. This is not to say the game is a downer- there are many moments of genuinely enjoyable comedy, which further drives home the resonant nature of the characters. I strongly feel that every person can connect to at least one character of YIIK’s main cast, though the experience as a whole will likely leave the strongest impression if you relate to Alex. Although YIIK’s narrative asks the player to embrace a great deal of absurdity and make a number of logical leaps, it manages to do so with very realistic and empathetic characters. That being said, however, the narrative is not perfect. Certain details are dropped or left unanswered in ways that are not completely satisfying, and a few characters undergo transformations and developments abruptly. The main mysteries of the narrative are eventually given strong conclusions, despite the finale being very open-ended. I will say, with the intent of avoiding spoilers, that YIIK manages to accomplish a narrative conclusion that echoes two specific RPGs, but does so in a way so vastly superior that I was blown away by the result. If I were to reveal what those were, I would risk giving away the ending, but the plot twists and payoff are extremely worthwhile. YIIK combines some of my favorite elements of Role-playing games into one, impressively succinct package, the main narrative closing out at around 25-30 hours. Action command gameplay is one of the most engaging ways to make a turn-based combat system feel more active, but the added layers of the Time Gauge and sheer variety of commands make the game feel very balanced and fluid. There is a bit of level scaling that takes place in some areas, specifically during overworld random encounters, and as a result it never feels as if the player has developed a truly overpowered team combination. However, balancing Alex’s stat distribution properly and becoming extremely proficient with some of the action commands can result in some very powerful combinations. It is the game’s narrative that truly drives its excellence home, however. To claim to be Postmodern without delivering on the goods would be expected from an independent developer, perhaps leaning into the surreal and irreverent angles of the philosophy without going any deeper. 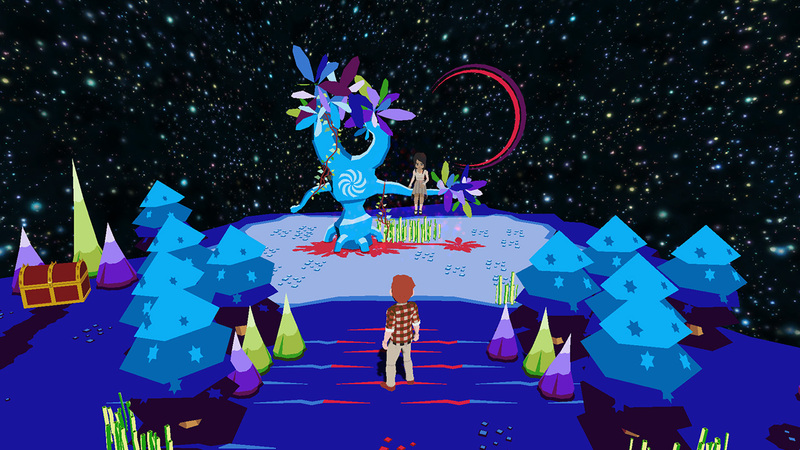 Instead, YIIK allows Postmodern concepts to seep into every aspect of the title, affecting the plot and the way the player interacts with the game on subtle levels that may not be noticed or appreciated until reflecting upon the entire experience. While this may lead the player to believe they are being dragged through a nonsensical and ambiguous narrative, the developers want their audience to experience the game at a meta-cognitive level – challenging them to think about how the game makes them think. Of course, this could all be the subjective experience of a single reviewer, and as we have already noted, video games are a largely subjective medium. But for a game to possess such stellar game mechanics and aesthetics and has such a thought-provoking narrative is an impressive accomplishment that deserves experiencing. This is a game I want to hear from others about. This is a game that tackles emotions and subjects that have hit extremely close to home, but I also believe are universally shared feelings that are rarely touched upon in the medium. It baffles me to finish composing this review before the end of 2018, as it would easily make my top 5 list for titles I have played this year and has already landed itself on my list of all-time favorites. If it wasn’t already obvious, I think YIIK is a game that everyone should play. It is not a perfect game – rarely do titles come along that feature wholly agreeable mechanics – but it manages to use fabulous music, voice acting, and addictive combat in order to tell an extremely original story. This is one of the rare titles that has challenged me to rethink what I believe is possible in the medium, let alone the Role-playing genre, and for that, I give it my healthiest and most adamant recommendation. Been looking forward to this game for a long time, and your review has solidified my plans to pick it up soon. Great job! You gotta admit the style of this one really stands out from the pack. Great review!